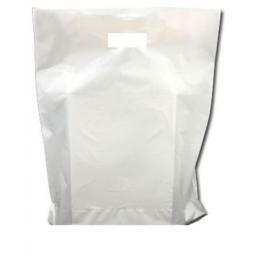 Fashion patch handle carrier bag in white, made from quality plastic. Our range of Vest Plastic Carriers are very popular with our customers as they offer great value for money! Ideal for those in the food industry looking for an alternative to plastic bags. 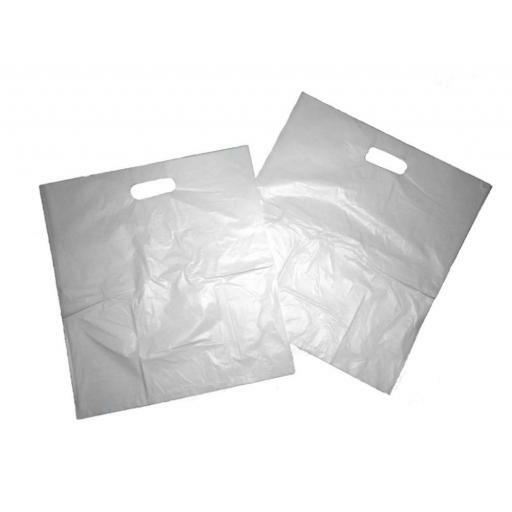 Plastic bags are re-usable and recyclable.